Wednesday, while out on errands, I went to three of my local craft/hobby stores. I was on a mission to find something that I could make in kit form for my Sister and some of her co-workers. I did find a couple things, but I mostly got sidetracked. I had a list, of sorts, and stuck strictly to the list. That is until I came upon one store that was new to me, a real scrapbook store with an area for classes. While I was browsing and walking the aisles I overheard a conversation between four women. They were excitedly talking about a product they had been using. Telling each other what they made with it, often giving tips on how they handled a particular technique. Okay, I could not help myself. I had to find out what they were talking about. So I made my way to their aisle and peeked around the corner to see what they were huddled around. Ten Seconds Studio puts out a line of metal sheets and tools for crafting. My thoughts went back to a Summer School project I had to do that involved a bit of metal and embossing it with wooden tools. That was not a pleasant experience for me. 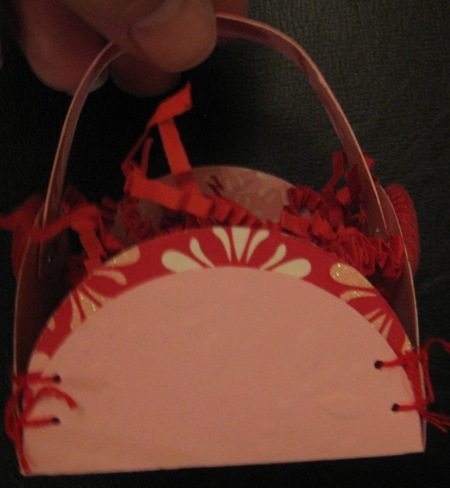 I remember the simple flower pattern I was given along with the piece of metal approximately 3 inches square and a bit of carbon paper to transfer the design to the metal. To make a long story short, I cut myself quit badly on the metal and was unable to turn my project in at the end of the week. I failed the class. Failing an art class is pretty hard to do unless a person is unruly and distractive, which I was not. Anyway, back to Wednesday, as these women told about the success they were having with the product I thought I’d at least listen to what they were saying. Mustering my courage I asked if the metal could be used with a Big Shot. There was a chorus of unanimous “Yes”, then each one told of her experience with dies, texture plates, and embossing folders. I got swept up in their enthusiasm. Up to the register I went with my items, which now included a packet of the metal to test out at home. 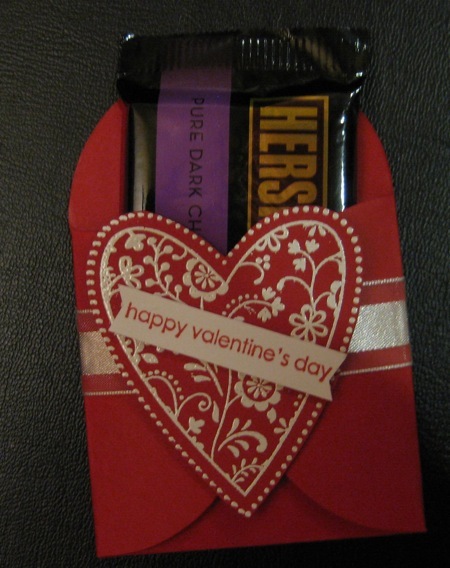 This is the result of my experimentation with the metal and Stampin’ Up! dies, embosslets, and impression folders. I have a video on using this metal with Stampin’ Up! dies, embosslets, and impressions folders. This metal is easily cut with scissors and paper trimmers. Using this metal with the Top Note die was just as easy as using paper. Clean cuts with no hang up at the points. The embosslets popped right out. The raised embossing was clean and crisp, no punctures through the metal. I had one problem with the Beautiful Wings embosslet. One of the butterflies did not cut all the way through the metal as the others had. I did not want to take the chance of tearing it with all the pulling and prying I was doing so I just stopped. I used a Snowflake Sizzlits die from the set of Stampin’ Up! I had the same problem of getting the image cut cleanly through as I had with card stock. I could have a faulty die. It did take some work to get the snowflake released. The results were a bit wonky and misshapen. The most impressive, in my opinion, was the Manhattan Flower Impressions Folder used with the Top Note die. That was amazing. I used a foam core sanding block to sand off the paint from the embossed image. As far as cost goes, I paid $9.99 for four sheets of this metal. However, the ease of use and being able to cut it with scissors and my paper trimmer is a factor that makes the price not so dear. According to the ladies, extolling the virtues of this metal, it can be stamped on with Staz-On ink, for those who like alcohol inks the results are stunning on the plain silver finish. Flower dies or stamped images can be used on this metal. 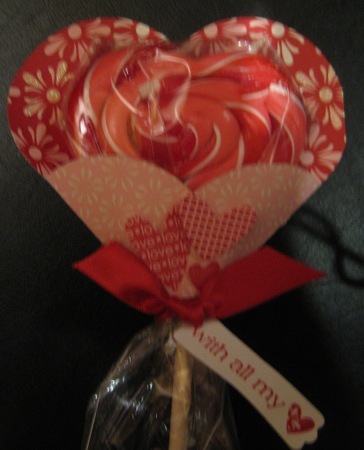 It is easily manipulated to create the curves and folds of flowers or leaves. This product can be added to your stash for card making, scrapbooks, or any other craft you pursue. As you look at this photo, you will see one lone blue die at the top. That is a Petal Card “Bigz” die. Below that lone one are the red “Original” dies. 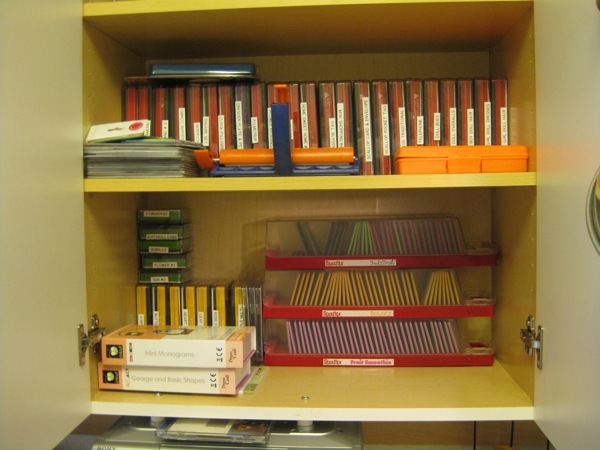 In the left corner are embossing folders of several shapes and lengths. On the bottom shelf, the green dies are “Original” dies, as are the yellow dies. In the three red trays are Sizzlit dies. The majority of these dies I purchased from eBay in 2006. There was a three month period I went totally WHACKO. I lived for eBay. I was a purchasing fool. I checked my account several times a day to see if I was about to win on my bids. When I did I got so excited and could not wait until the item arrived at my home. I developed a friendship with my postal lady because of that, which has been a wonderful thing. She and her husband are both postal carriers and have done so for 15 years. Her husband and my husband were in the hospital during the same time in January 2008 for kidney stones and we chatted quite a bit. Okay, back to the business at hand. During that $600 shopping spree at Michaels, these were in my cart. Along with several of the dies in my cupboard and one of the Sizzlit trays of alphabet dies. The Original machine is the long rectangular one and the Side Kick is the small one with the suction cup on the bottom (the black “foot” or base). I’ve used both of these machines and can tell you that they are most definately time savers. Roll the die through the Side Kick and you can have an image or a letter in no time. Scoot the die under the pressure head of the Original machine and the results are the same. Quick and easy. There is no cutting or trimming with tiny scissors to cut an image out. 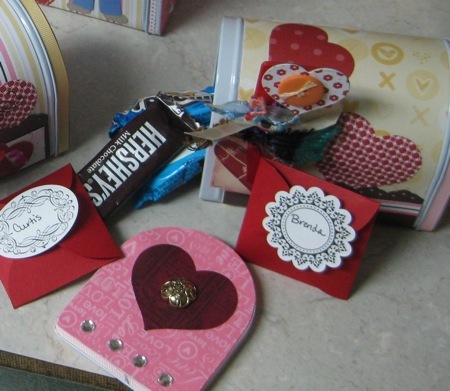 That is the big advantage of having a die cutting machine if you are in need of a lot of squares or circle, or flowers. With the Side Kick I can put two pieces of paper in the acrylic pad and die sandwich and get two images or letters at one time. With the Original machine I have put as many as three different card stock colors beneath one die and sent it through the machine to get the same image or letter in a different color. In my experimentation period I tore strips of colored card stock, glued them together, snipped them to fit the dies and ran them through both of the machines with different dies. The results were great. Hmmmm, sounds like an idea for a tutorial. Last year, when I heard of Stampin’ Up!, I purchased the Manhattan Flower and the Petals A Plenty Embossing Folders to add to my stack of non Stampin’ Up! embossing folders. 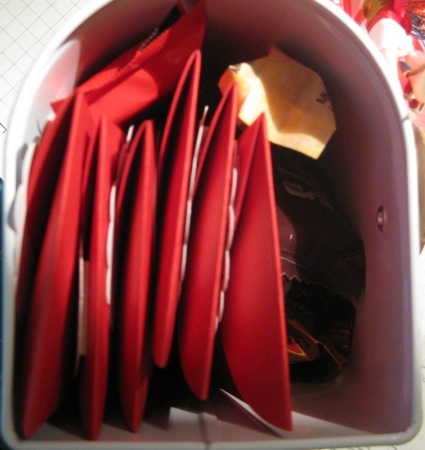 I also purchased the “Hi” and “Thanks” Embosslets, as well as the Snowflakes Sizzlet dies to add to my stash. 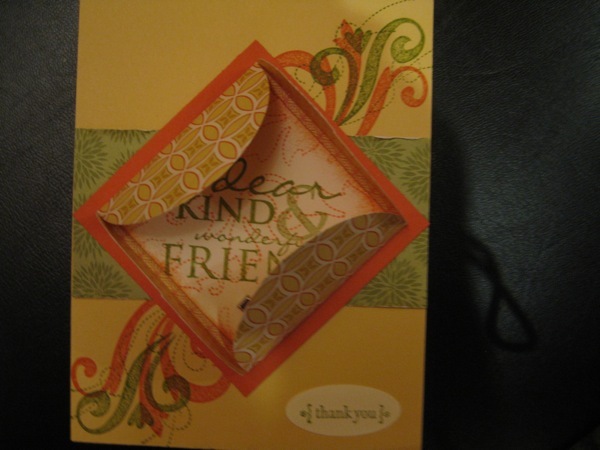 I really like the look of the Top Note die #113463 from Stampin’ Up! but it is too big for the machines I have. It won’t fit through my Original machine. Bummer, I really like that die. I like it so much that I really really want it. To get the Top Note die means I have to buy the Big Shot also. Here’s where the “crazy thinkin” come in. I balked at paying $99.95 for the Big Shot. Can you believe that? For someone that put $600 worth of stuff in a cart at one time in about 2005, handed over a credit card and walked out the door with all that stuff is now putting the brakes on for $99.95. After some back and forth with myself I took the plunge and bought the Big Shot. These are the dies I can use with ONE TOOL. The Big Shot. These dies are just a single sampling of each category of the dies I own. Left three dies are all Original dies used with the Original Machine. 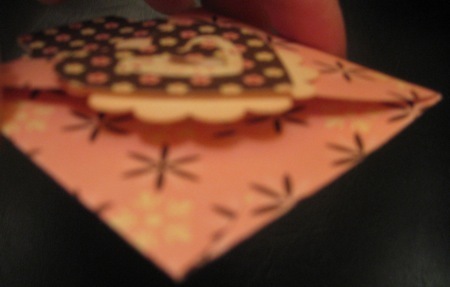 The “Thick Cuts” die in the top center is a Bigz die that is still unopened because I could not use it. 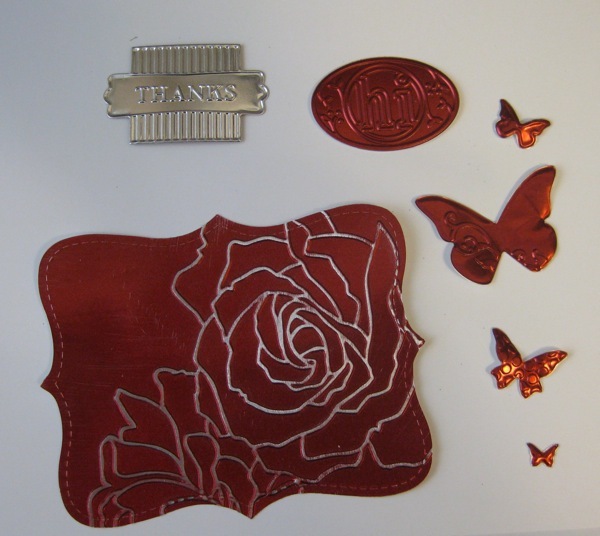 The lower center are: left – Manhattan Flower embossing folder, Thanks embosslet, Snowflake Sizzlit, a Swirls Cuttlebug embossing folder, and a Quik Cuts Thin Die (the key). The top right two items are both embossing folders. The “Fantastic” embosser is for the Original machine while the “memories” is for the Side Kick. I can use ALL of these dies in one machine. The Big Shot. Including the much coveted Top Note die. Today’s video is about using the Stampin’ Up! 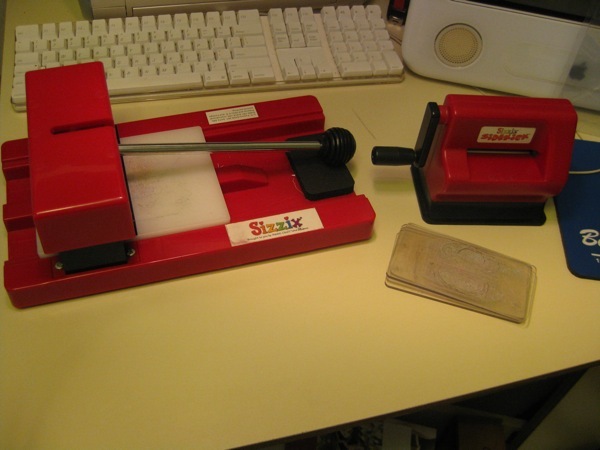 Sizzlit dies and Embossing Folders with the Side Kick and the Original Machines if you own them. They are made by the same company – Ellison/Sizzix – so they are made for their machines. The Big Shot is also one of the Ellison/Sizzix machines. The only difference is the Stampin’ Up! logo on the Big Shot. The dies that are in the Stampin’ Up! catalogs are specifically, and exclusively made for Stampin’ Up! 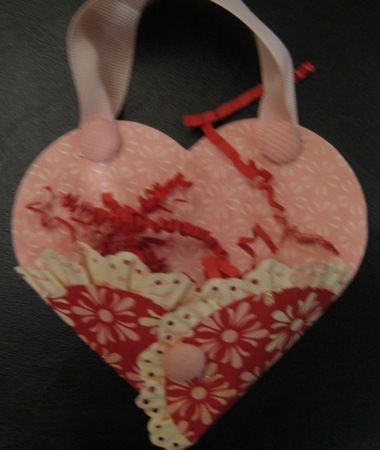 You will not be able to find these dies if you go to the Sizzix website. I hope this answers any questions you may have had about using Stampin’ Up! dies with your machines. If you have questions about a Cuttlebug machine I am of no help whatsoever to you. 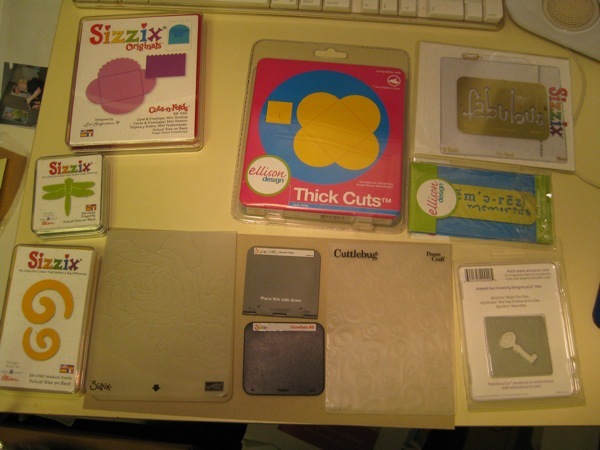 Except, I can tell you the Cuttlebug Embossing Folders work in the Sizzix machines.